Thank you for taking the time to help us keep our website up to date. Please use this form to request page updates, submit event descriptions, share news tips, or ask for website-related support. Your feedback is valuable and appreciated! Please provide 2-3 sentences describing what your event is about. Accepted file types: jpg, gif, png, pdf, doc, docx, pub. Please provide as much detail as possible in order to speed up your request resolution. Please enter an image suggestion or description of what you would like. A college's website is usually the first point of contact for potential students, parents, and other friends of the institution - and first impressions count. 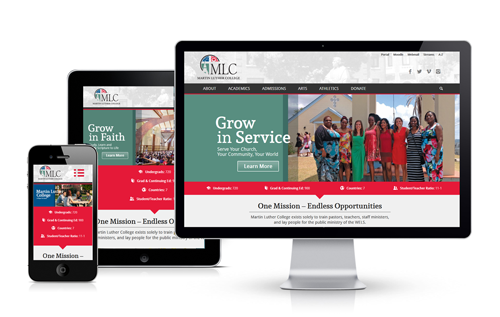 Keeping content up-to-date is a great way to actively engage visitors and showcase our blessings at MLC.